Students of the University of Delhi (North Campus) no longer need to get into the bargaining game with the Rickshaw pullers, moments after getting off the Metro at the Vishwavidyalya Station. They now ride themselves to their respective colleges…and with pride! 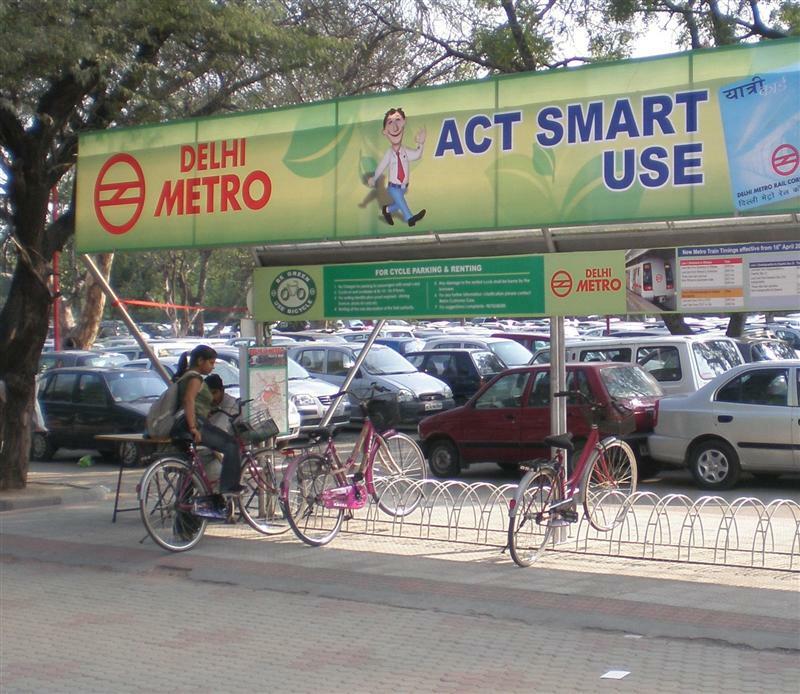 With an ID proof and Rs.10, one can now hire a bicycle for four hours (Rs.10 for subsequent four hours slot). The idea has found many takers in the campus. Many students can also be seen learning how to ride the cycle, from friends and other cyclists – who are now in love with this ‘re-discovered’ mode of transport! This is what we need..